As part of our extensive services in South America you can now experience a first class drive with a Sixt car rental in Ecuador. No matter the kind of trip you have planned our top quality fleet can help you get around in comfort and ease. Whether exploring the coast or the Andes mountains we can get you on the road in Ecuador with an affordable rent a car. Renting a car with Sixt in Ecuador secures you plenty of choice for your means of transportation. Our fleet features a diverse range of vehicles and we regularly replace them to keep our models up-to-date. You can drive Ecuador in one of our leading brand compact cars or sedans great for city trips or opt for a rugged SUV for more adventurous travel. We also have attractive rates on luxury car rental models like sports cars and convertibles. You can further tailor your reservation with our deals on useful add-ons. When booking online or over the phone include an additional driver, unlimited mileage, GPS, a child seat, insurance protection and more for an optimal ride. Please note, as specific models are subject to availability we can only guarantee you to receive a vehicle in your chosen car category. Roads may not be adequately lit so avoid long journeys after dark. Be aware at all times of sudden pedestrians, cyclists and animals on all roads. Foreign driving licenses are valid for the length of your tourist visa. Drivers must be at least 21 years old and possess a major credit card in their name. Seatbelts must be worn by the driver and front seat passengers. It is required by law to drive with a Road Safety Kit containing triangles, flares and other safety equipment. Your passport with entry date stamp, vehicle registration and insurance, a valid driving license and a printed copy of the law regarding your driving rights must also be kept in the vehicle at all times. With your car rental in Ecuador you can explore the diverse landscapes of this beautiful country. 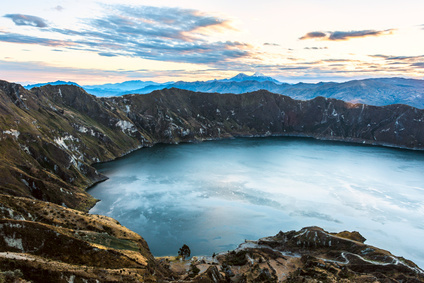 Use your vehicle to tour around the vibrant capital city of Quito and drive two hours north to the famous market of indigenous crafts in Otavalo. 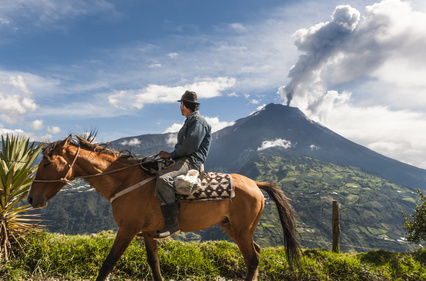 Head to Baños for a soak in the many hot spring mineral baths or embark on an outdoor adventure near the foot of the Volcano Tungurahua. 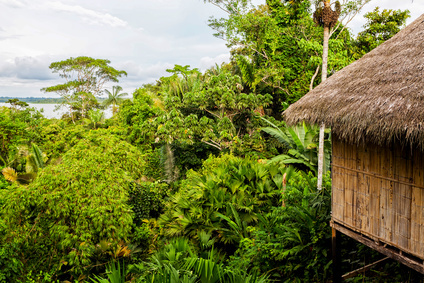 There are great beaches to hang out and hikes to take through cloud forests. Or you can use you rent a car to give you access to amazing attractions like the Galapagos Islands or areas of the Amazon. Whatever is on your Ecuador itinerary, get to see and do it all with a reliable rental car from Sixt!